6:00 pmRochester Public Library located at 65 South Main St. Rochester, NH. 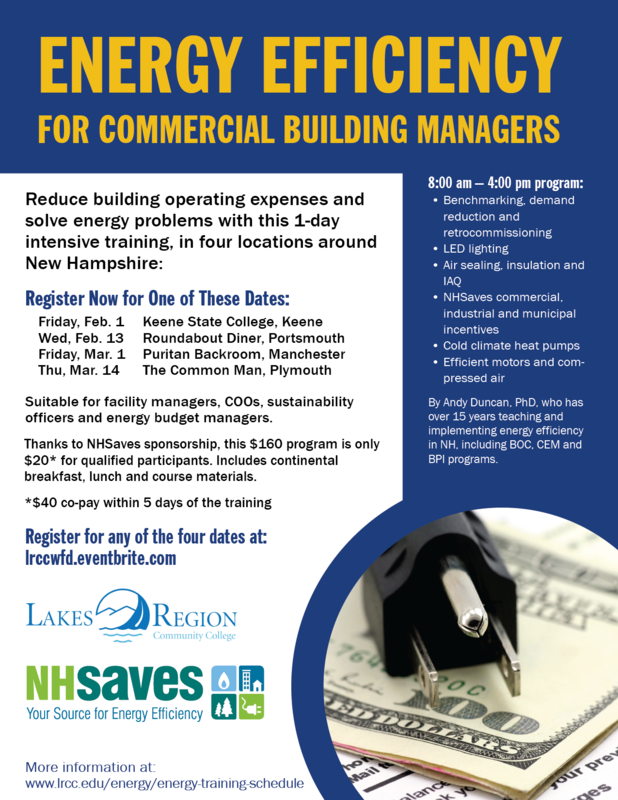 The NHSaves Button Up Workshop is a 1.5 hour presentation about how to improve the energy efficiency of your home. It is conducted by a certified energy auditor and covers basic building science principles as well as examples of whole house weatherization measures that will button up your home for the heating and cooling seasons. It also covers details about the energy efficiency programs offered by NH utilities (for existing homes and new construction) that provide energy audits, weatherization measures such as air sealing and insulating and rebates on new technologies and products such as electric and gas appliances and high efficiency electric heating/cooling equipment. In 2018 New Hampshire launched a new Low-Income Solar Program. The program was designed in accordance with a state law directing that no less than 15% of the Renewable Energy Fund go toward benefiting low-moderate income residential customers. The first round of funding resulted in the development of three unique projects. Join us Tuesday, February 26, 12-1pm to learn about how these programs are spreading the benefits of distributed solar to low-income communities across New Hampshire. A panel discussion will follow the film and refreshments will be served. PLYMOUTH – The Sidore Lecture Series Committee of Plymouth State University is announcing that they will be showing the 2016 Leonardo DiCaprio documentary film on climate change, Before the Flood, on the PSU campus on Tuesday, April 9, 2019, at 7:00 pm in Room 144 of the Boyd Science Center. The showing is free and open to the public. 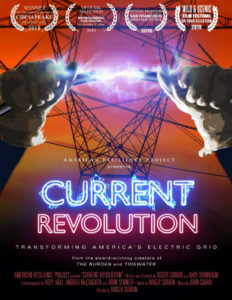 Co-sponsors of this screening are the PSU Office of Environmental Sustainability and Common Ground, PSU’s environmental and social justice student organization. Talking Trash: Reduce Waste, Reduce Emissions by Charley Hanson from Resource Management, Inc.
For more information visit: https://www.squamlakes.org/events/science-pub-climate-change-solutions Join us in the lounge at Walter's Basin Restaurant (Route 3 in Holderness) to discuss Climate Change Solutions. Climate change is affecting our human and natural environments. Hear from people taking action to mitigate climate change consequences at the individual and community levels. Take part in a lively discussion after the presentation to discuss solutions we can implement at home and in our communities. Sponsored by Squam Lakes Natural Science Center, Squam Lakes Association, and Squam Lakes Conservation Society. Registration: Advance registration requested by calling Squam Lakes Natural Science Center at 603-968-7194. Weather cancellations will be posted at nhnature.org. CCL is building political will for Congress to pass the recently introduced Energy Innovation and Carbon Dividend Act (HR 763). This bipartisan legislation is effective in addressing climate change (reducing America's emissions 40% within 12 years), good for people (improves health and puts money into people's pockets), good for the economy (creating 2.1 million new jobs), and revenue neutral (does not grow government). The meeting is at 16 Highland St, just behind the Plymouth Post Office. It begins at 5:30 pm and pizza and vegetables will be provided. PSU’s environmental and social justice student organization, Common Ground, will again be hosting an Environmental Fair on campus on April 24th (the Wednesday after Earth Day). 16 environmental organizations and associations – from both on and off campus have been invited to attend. PAREI will be hosting a table to share information about our membership services, NH Solar Shares and our weekly on-line Local Foods Plymouth buying program. If inclement weather, the event will happen inside the HUB. Please join us. This year, Liberty Utilities will install between 100 and 200 Tesla Powerwall batteries in residential customer homes as part of an innovative energy storage pilot project. Join us to learn about the program, the accompanying Time-Of-Use rates, the benefits of energy storage, and future plans to expand competitive options for energy storage across NH through "Bring-Your-Own-Device," or "BYOD," programs. Sponsored by Plymouth State University Common Ground and the League of Conservation Voters. Presents A Free Film showing of The Devil We Know. Click here for the Facebook event listing and sign up. Tuesday, April 30 at 6:30p.m. Plymouth State University Memorial Hall, Room 103, The Devil We Know is the story of how one synthetic chemical, used to make Teflon products, contaminated a West Virginia community. New research suggests nearly all Americans have been exposed to non-stick chemicals in food, drinking water, and consumer products and that it’s in our blood. The film will be followed by a panel discussion lead by The Hon. Mindi Messmer and will offer suggestions about meaningful actions that you can take to demand clean drinking water in New Hampshire.